Everything you need to know about customising the strip container. 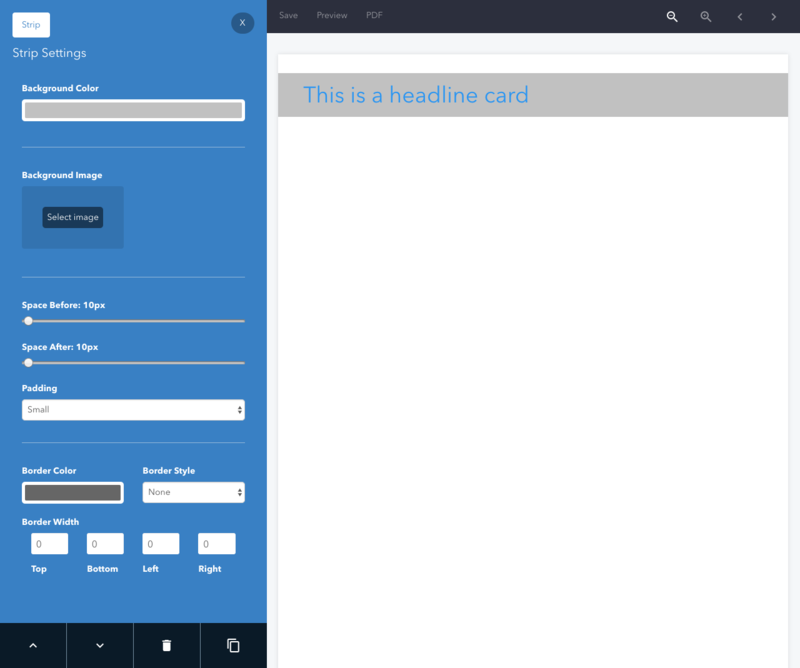 A Strip Container is useful for grouping several content cards together. A strip will extend to the very edge of a page. Any left or right margins set on that page will be applied inside the strip. Give the strip a background color to help it stand out on the page. You can use a background image instead of a color if you prefer. 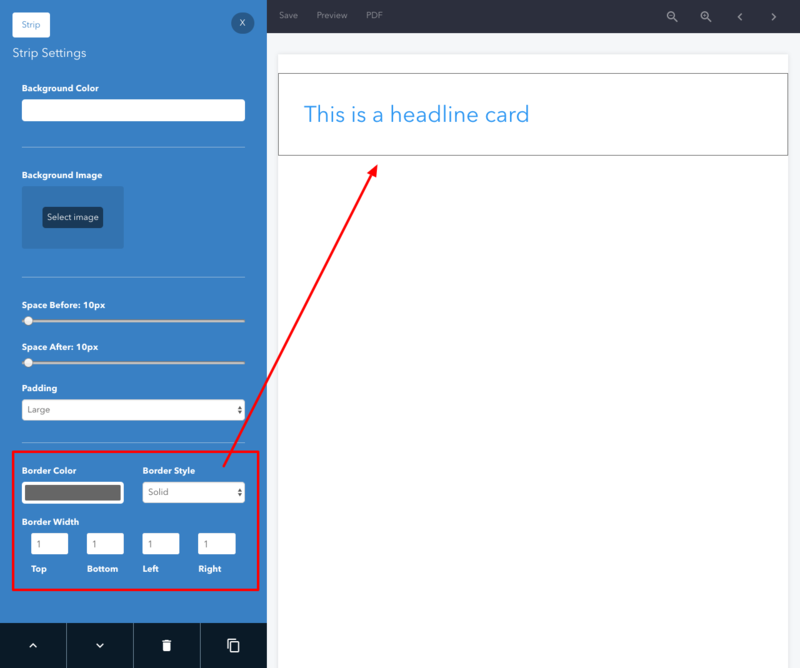 If you want to increase or decrease the empty space above a strip, use this slider. If you want to increase or decrease the empty space below a strip, use this slider. 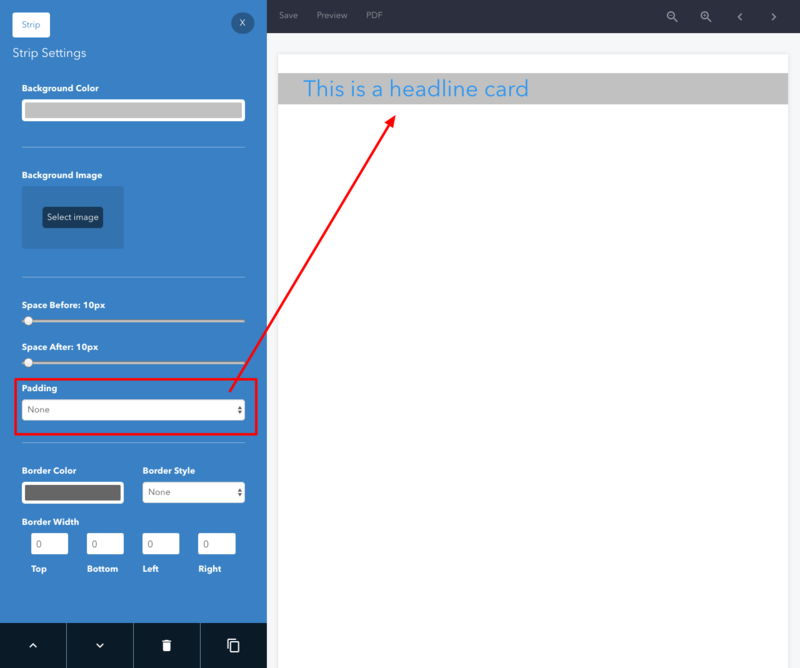 If you want to increase or decrease the amount of space between the top and bottom of a strip and the contents within it you can use the padding controls. 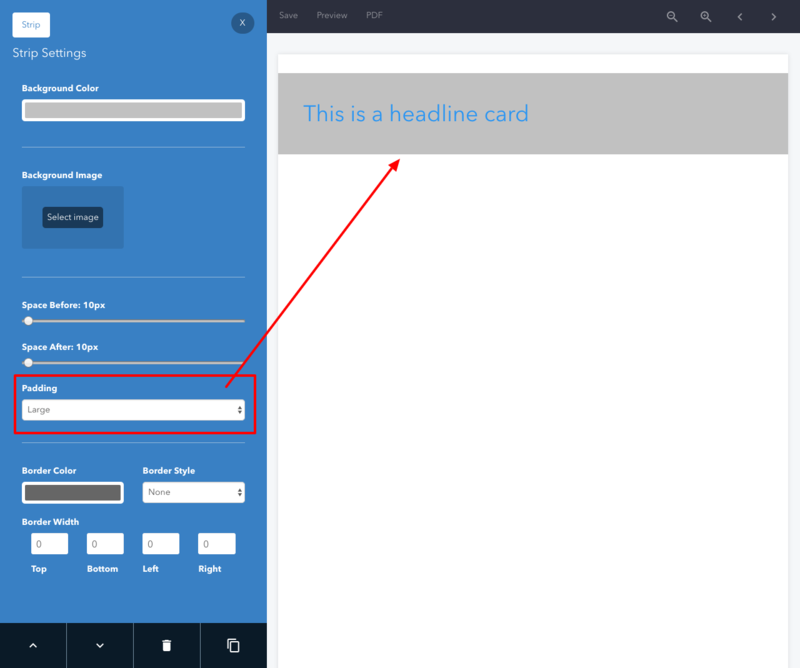 To add borders around your Strip, select an option from the Border Style list and set the Border Width on each side to at least 1. You can change the color of the border with this option.